Our New Year’s Eve broadcast of “Fantasy in the Sky” fireworks has just concluded – but please share in the good cheer of the New Year by watching the replay below. Tonight’s New Year’s Eve celebration featured a special performance of “Fantasy in the Sky” fireworks. 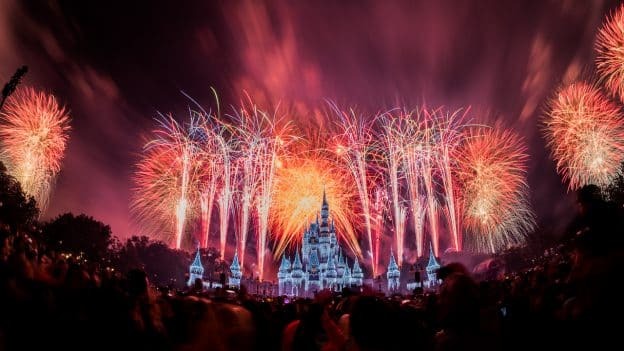 The show features songs from some of the most beloved Disney films, including “Peter Pan,” “Pinocchio” and “Aladdin,” as well as favorite songs from attractions like “it’s a small world” and The Haunted Mansion. Be on the lookout for a special New Year’s Eve finale. Do you hope to visit a Disney park in 2018? Tell us in the comments section below or share it with us on Twitter with the hashtag #DisneyParksLIVE. We were there this past Halloween. The fireworks were and have always been fantastic. Love the projection technology. Want that for my house. Will definitely watch it for the heck of it. Thanks Jennifer! Thank you! We hope you can visit soon. Watching from Los Angeles, California! Geat show! Watched it on our 110 inch projection system….almost as good as being there…well not really. Seeing it in person is on our Disney bucket list. Let our 9 year old grandson stay up to watch…he’s ready to head to Toy Story land with his cousin….time to plan another trip “home” to Boulder Ridge Villas! We hope you can visit again very soon! Thank you, Disney Parks Blog, for another great livestream! Happy New Year! Great show and a wonderful way to share this with the family since we cannot be at the park this evening! Happy New Year! Enjoyed bringing in the New Year with Disney Parks Live here in TN! The fireworks were spectacular, and this has become an annual tradition for our family. Can’t wait to visit in 2018! Happy New Year! From Japan! Happy new year everyone!! I’m moving to California this year! See ya real soon!! Watching from St. Thomas, Ontario, Canada…. Watching from Richmond, VA – happy new year everyone! We will be watching in Calgary, Alberta, in our pyjamas! Looking forward to taking our 18 month old on his first Disney trip in 35 days. Happy New Year from Portland, Or. We’ll be tuning in! We will be watching from Folsom, California! Watching from Frederick, MD. Help us surprise our Disney daughter Sydney that we will be celebrating her 8th birthday in the Magic Kingdom on January 26, 2018. It was her birthday wish and she will be watching with us! How fun! Have a great time. Watching from Buckeye, AZ! Hope to get to Disneyland soon!! Watching from Parker, CO! 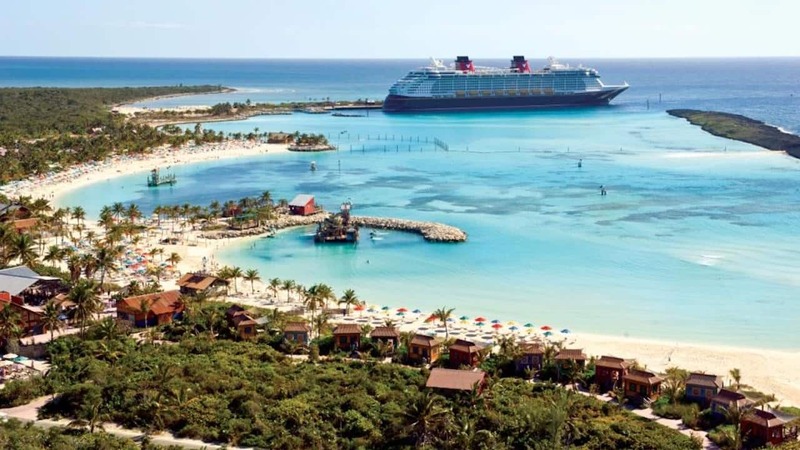 Was home in October of this year and will be taking a DCL Cruise for Christmas, 2018 and will visit Disneyland and Aulani in 2019! Wow, sounds like a great vacation plan for the next two years! Full of Disney magic!